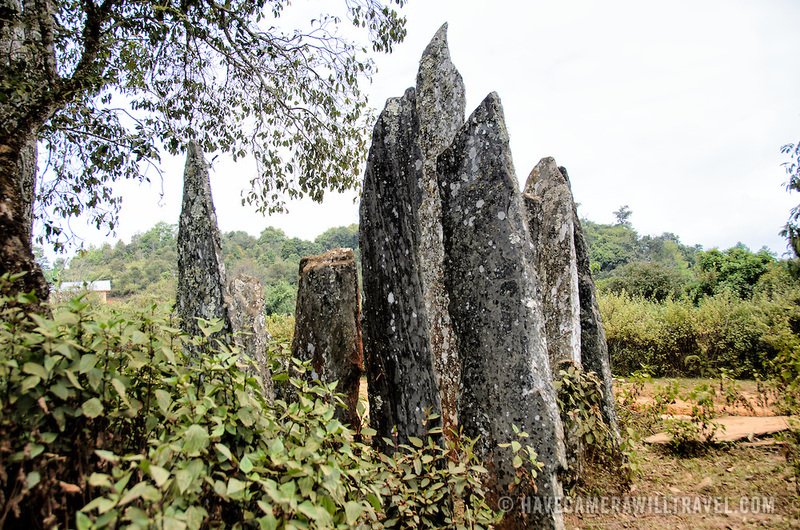 The menhirs (standing stones) or Hintang, near Sam Neua, in northeast Laos. The origin of the stones and the round stone covers is unknown, but they are presumed to be related to burial rituals, similar to the stone jars in the Plain of Jars. The stones were first studied by Madeleine Colani, a French archeologist, in the 1930s as part of her broader work on the megalithic stone jars that give the Plain of Jars their name.